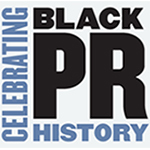 The Museum of Public Relations will present its fourth annual BlackPRHistory event on Jan. 30 from 6–8:30 p.m. at the WeWork space at 85 Broad Street, 27th floor in New York City. The event, which is also being sponsored by the PRSA Foundation and the Black Public Relations Society—NY Chapter, is to feature a panel consisting of contributors to Diverse Voices: Profiles in Leadership, which was published last year by PRMuseum Press. Judith Harrison, senior vice president, diversity & inclusion at Weber Shandwick, will emcee the event, and the panel will include Finn Partners senior partner Helen Shelton; Neil Foote, president of both the National Black Public Relations Society and Foote Communications; and Terry Edmonds, former speechwriter to President Clinton. A networking session will follow the program. Admission is free, but seating is limited. For more information, or to register, click here. 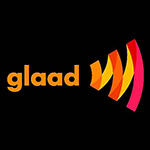 Slate PR is partnering with GLAAD, the world’s largest LGBTQ media advocacy organization, for the 30th Annual GLAAD Media Awards, which will be presented May 4 at the Hilton Midtown in New York. The awards recognize and honor media for what GLAAD calls “fair, accurate and inclusive representations of the lesbian, gay, bisexual, transgender and queer community and the issues that affect their lives.” Slate will provide all public relations for the event, as well as taking charge of talent wrangling and the red carpet. Nominations for the awards will be announced at the Sundance Film Festival on Jan. 25. New York Women in Communications will offer a look at how to make the most out of a career change at “Mastering the Professional Pivot: How to Make Your Next Move the Best One Yet.” In a discussion with CoveyClub CEO Lesley Jane Seymour, Linda Sawyer and Alison Matz will talk about how they transitioned from careers in advertising and publishing to operating Skura Style, a home cleaning supplies e-commerce brand. The program will focus on how attendees can ensure that their career moves resonate with their personal brands, as well as providing tips on where to start cultivating a network, funds and planning. 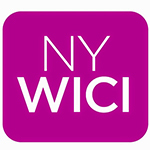 The event runs from 6-8 p.m. on Thursday, Jan. 31 at IPG, 909 Third Ave. (between 54th and 55th streets) in New York. For more information about the event, click here.